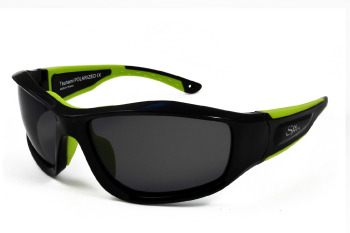 Polarized, lightweight, extreme sunglasses specifically designed for outdoor watersports. SeaSpecs Non-elastic, Easily Adjustable and Comfortable Secure Strap keeps SeaSpecs Classic and Stealth on your head during your Extreme Surfing, Kite Surfing, Windsurfing, Jet Skiing, Snowboarding and all other Extreme Sports! SEASPECS ARE MADE FOR EXTREME CONDITIONS, OUR PATENTED STRAP IS NOT REMOVEABLE! Removeable straps will fall apart under EXTREME conditions. Insist on a Non-Removable Strap! SeaSpecs Brand INTEGRATED SECURE STRAP is made from COMFORTABLE water-resistant nylon and is adjustable with only ONE HAND. Our Integrated strap helps to keep the sunglasses on your head to PROTECT YOUR EYES FROM SUN AND FATIGUE so you get longer sessions. Enhance your performance and your experience with SeaSpecs integrated strap. All SeaSpecs Classic and Stealth (except Crystal Specs) come standard with our Patented, High Quality, Impact- Resistant Polarized Extreme Lenses at NO EXTRA CHARGE and provide 100% UVA & UVB Protection! Our Crystal Specs come standard with our Clear Patented, High-Quality, Impact-Resistant, Non-Polarized Lenses and provide 100% UVA & UVB Protection! All SeaSpecs Extreme Lenses meet or exceed all applicable United States, European, Australian and many other countries' regulations. SeaSpecs Grey Polarized Lenses are our most popular lenses and are available in all of our Frames - both Classic and Stealth - and are great for all conditions. SeaSpecs Brown Polarized Lenses come in our Classic Black Frame, "Sunset Specs" and our Classic Tortoise Shell Frame, "Tortuga Specs" and are excellent for cloudy, early morning and late afternoon, low light conditions. SeaSpecs Clear Lenses are available in our Classic Black Frame, "Crystal Specs" and are excellent for very low light conditions, nighttime or in extreme shade when protection from wind and water is desired. All SeaSpecs lenses provide 100% UVA and UVB protection! SeaSpecs offers Prescription Lenses for all of our Models excluding Iguana, Viper, Cruzer and Cycler in both Grey and Brown Polarized Lenses and Clear Lenses. SeaSpecs Single Vision Polarized Prescription Lenses and Frame complete cost $195.00 and there is NO ADDITIONAL CHARGE FOR POLARIZED LENSES. Please see our Prescription page for additional information. SeaSpecs Classic and Stealth Patented Injection Molded Nylon Frame is made for Extreme Conditions and is extremely strong, yet lightweight. SeaSpecs Classic and Stealth Hinges are an integral part of our Frame and are also made of Nylon, thereby making SeaSpecs Classic and Stealth hinges as strong as our frame. SeaSpecs Classic and Stealth DO NOT use metal hinges, because Metal Hinges Will Rust and fall apart. All SeaSpecs Classic and Stealth utilize our Patented Full Wrap-Around Frame which provide Complete Coverage of your eyes and keep sunlight and spray out of your eyes during Extreme Conditions. SeaSpecs Classic and Stealth Frames are Ventilated which help keep your Lenses clear! 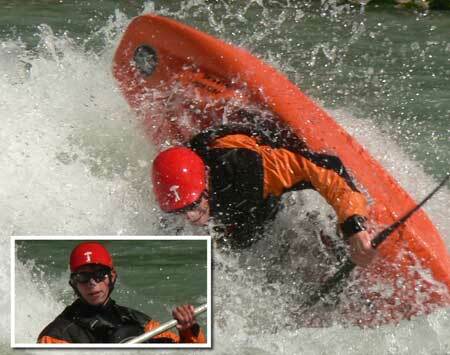 When using sunglasses during Extreme Water Sports, insist upon Ventilated Frames for Optimum Clarity! SeaSpecs Patented Design allows SeaSpecs Classic and Stealth to Float while enjoying your Extreme Ocean Sports! SeaSpecs Classic and Stealth are designed for Extreme Conditions and come standard with our Patented Non-Removable Soft Nose and Bridge Cushion which protects your nose and the bridge of your nose in the event of a wipeout. Insist upon a Non-Removable Nose and Bridge Cushion for Extreme Conditions! SeaSpecs Classic and Stealth Patented Extreme Secure Strap is easily adjustable and fits almost all Men, Women and Children. SeaSpecs warrants all of our Extreme Sunglasses to be free of manufacturing defects for a period of one year from date of purchase from us. SeaSpecs Classic and Stealth cost $49.95 each. Shipping within the United States is $5.95 and anywhere else in the world is $9.95. SEASPECS TODAY'S SPECIAL - BUY 2 AND GET ONE FREE - A 33% DISCOUNT! All SeaSpecs aFloat models come standard with our High Quality Polarized Extreme Lenses at NO EXTRA CHARGE and provide 100% UVA & UVB Protection! All SeaSpecs aFloat Lenses meet or exceed all applicable United States, European, Australian and many other countries' regulations. 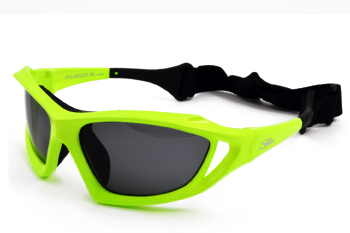 All SeaSpecs aFloat sunglasses offer Wraparound lenses which provide full coverage for your eyes. 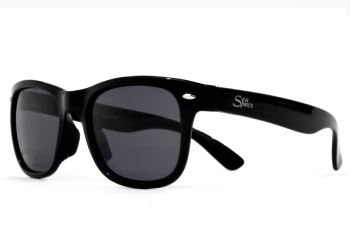 SeaSpecs aFloat Sunglasses come in a one-size-fits-all frame and fits almost all Men and Women. SeaSpecs aFloat Grom for Kids come in a small size frame for average size kids. 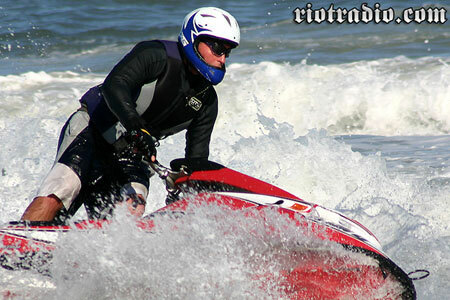 SeaSpecs aFloat Clip Strap is available for the Riptide, Pelagic and Tsunami. This is a lightweight, adjustable elastic strap that is meant for leisurely use in and out of the water. It is not meant for extreme sports. The Clip Strap is sold separately. SeaSpecs offers Prescription Lenses for all of the aFloat Models excluding Viper in both Grey and Brown Polarized Lenses and Clear Lenses. SeaSpecs Single Vision Polarized Prescription Lenses and Frame, complete, cost $195.00 and there is NO ADDITIONAL CHARGE FOR POLARIZED LENSES. Please Click Here to go to our Prescription page for additional information. SeaSpecs warrants all of our aFloat Sunglasses to be free of manufacturing defects for a period of one year from date of purchase from us. 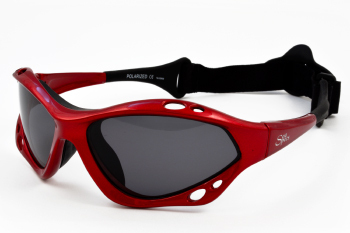 SeaSpecs aFloat sunglasses cost $49.95 each. Shipping within the United States is $5.95 and anywhere else in the world is $9.95. The "SeaSpecs Cruzer" offers stylish and comfortable sunglasses that provide protection from the sun's harmful rays while giving you a designer look at an affordable price! The Cruzer's high-quality, impact resistant lenses are Polarized to block harmful glare and provide 100% UVA/UVB protection from the sun's intensive rays. The Cruzer comes in two sizes; Small to Medium and Medium to Large. If you have a narrow face or prefer a smaller frame, you may want the Small to Medium size Cruzer. The Medium to Large Cruzer fits most head sizes (from petite/narrow to large) and offers a slightly larger lens. SeaSpecs Cruzer offers different tint levels for the best vision possible regardless of the environmental conditions. On bright, sunny days wear SeaSpecs Cruzer with the glossy black frame and grey lenses. During the early morning and late afternoon periods - dawn and dusk, SeaSpecs Cruzer is available in the always-in-style tortoise shell pattern with brown lenses that provide perfect protection without compromising vision. You get the same high quality SeaSpecs product that you have come to know and love along with the trust of our well-known brand name! Black Frame with the Polarized Grey Lenses, 100% UVA/UVB protection are best for very sunny days and comes in two sizes; Small to Medium and Medium to Large. Tortoise Shell frame with the Polarized Brown Lenses, 100% UVA/UVB protection are best for early morning and late afternoon and comes in two sizes; Small to Medium and Medium to Large. SeaSpecs warrants all of our Cruzer Sunglasses to be free of manufacturing defects for a period of one year from date of purchase from us. Hi Richard, Thank you so much for hooking me up, the glasses were over the top! Outstanding comfort and retention...I pull barrell rolls, backflips and big surf re-entries while getting hit by waves all day long and have yet to lose a pair from them just popping off! 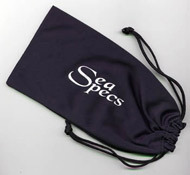 Every pair of SeaSpecs ships in a protective microfiber bag.